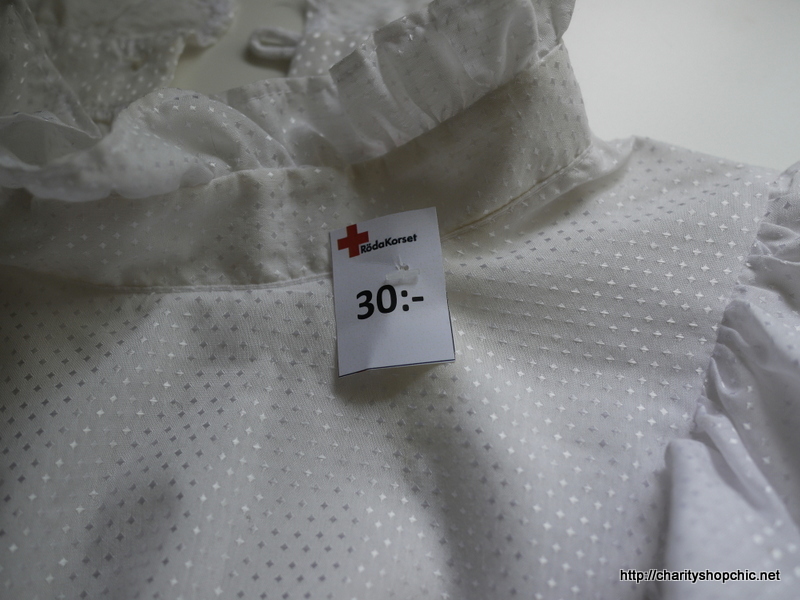 I bought this white blouse on my recent trip to north Sweden, in the Red Cross shop in Jörn, to be precise. 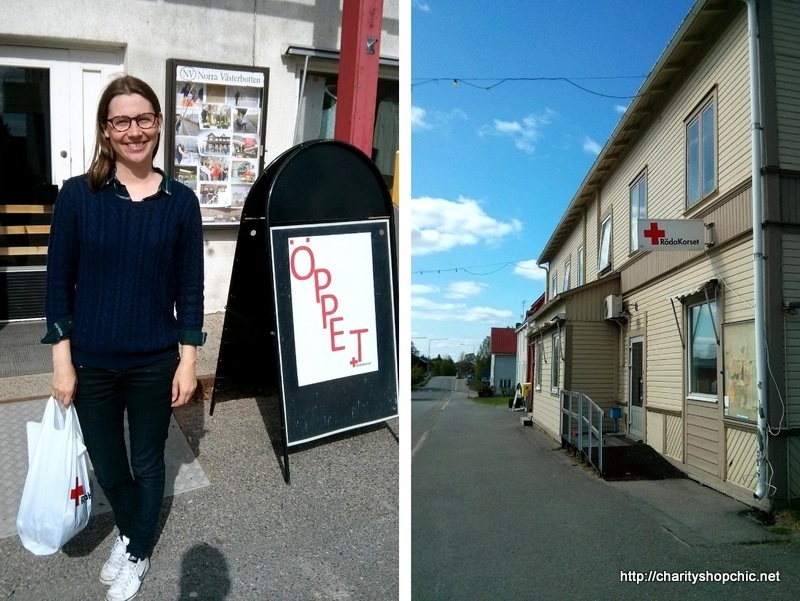 There are very few shops in this small town but amongst them were several second-hand shops (“loppis” – I got some great stuff there too, more of which, later) and a rather fun charity shop run by the Swedish Red Cross (Röda Korset). I had a good browse and bought several pieces there. If you’re in the area, I recommend it. They have free coffee and everything. I came across this 1980s white blouse in approximately my size. It has ruffles. I mean, a lot of ruffles. There are ruffles at the neck, ruffles at the shoulder, ruffles at the cuffs and even two big ruffles down the front. I love ruffles but this was a little much even for me. I paid SEK 30:- which is about £2.60. So anyway, I was looking for something especially Swedish to remake. I was delighted to see that the blouse had originally been sold by Swedish department store Åhléns. Thinking that nothing could be more Swedish I happily carried this home to England to be remade. The first step was to get rid of the shoulder pads. 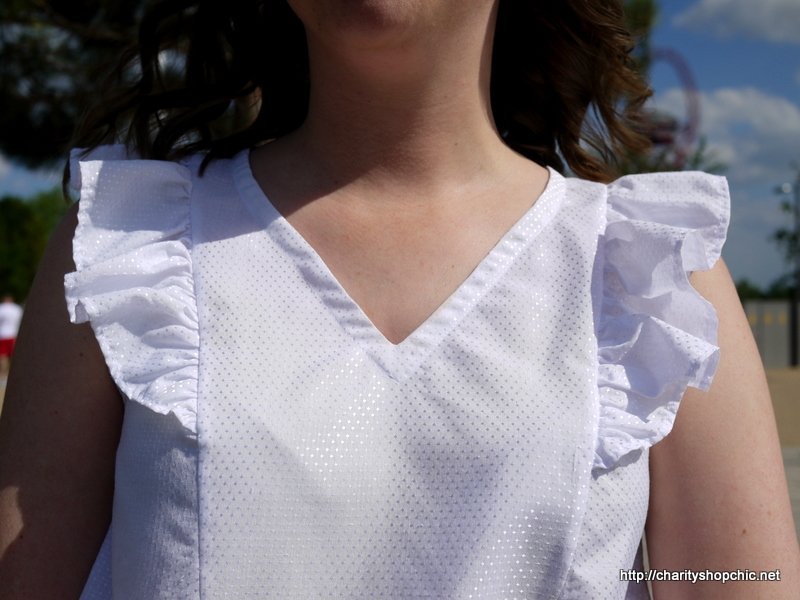 I then cut off the sleeves and the shoulder ruffles. 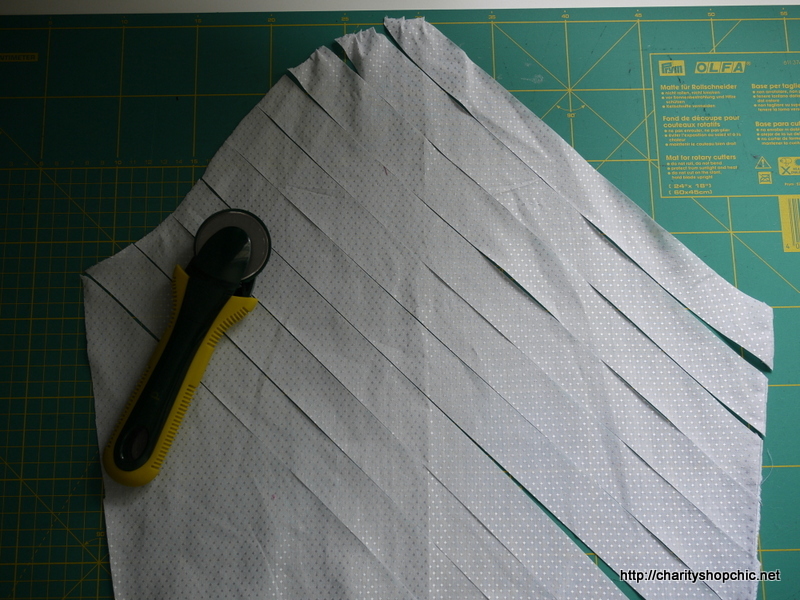 I didn’t want to cut off all the ruffles – that would be a real shame. It was a little tricky deciding which ones to keep though! In the end, the big ruffles on the front won, which meant all the others had to go. 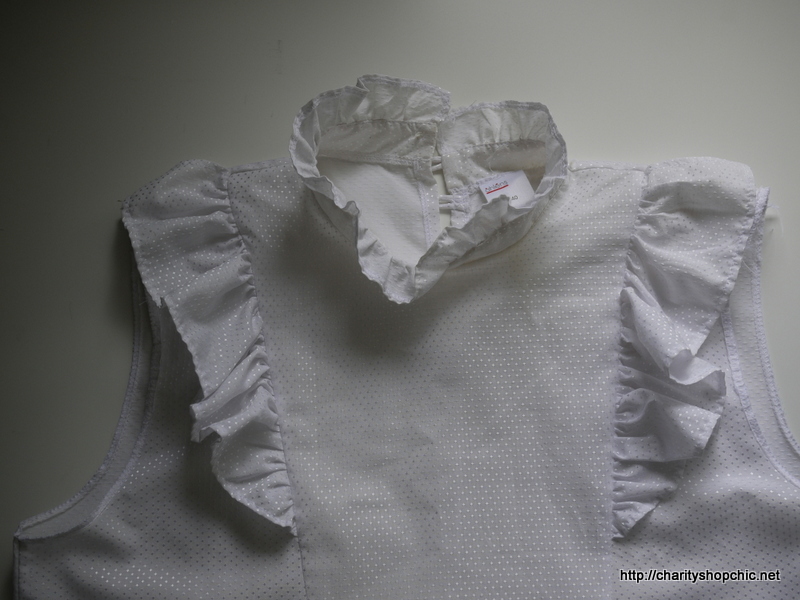 Cutting off the strangluation collar and its accompanying ruffle was quite satisfying. I turned the contrast up on the picture below so you can see the coffee stain at the neckline. 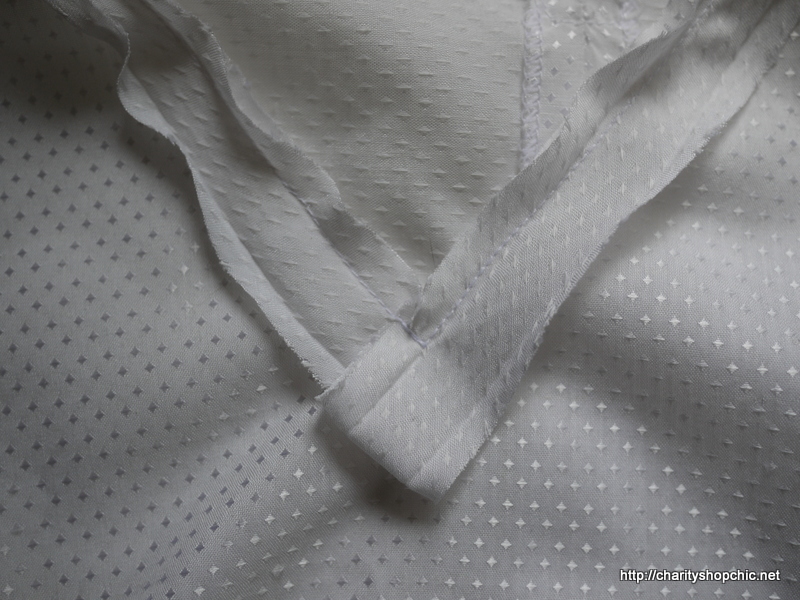 I hadn’t noticed this originally as it was quite subtle; but it did dictate the choice of neckline for the final blouse. I had to cut it into a V.
V-neck isn’t always my first choice, but I thought it could work with the existing style lines which are already making a V-shape. 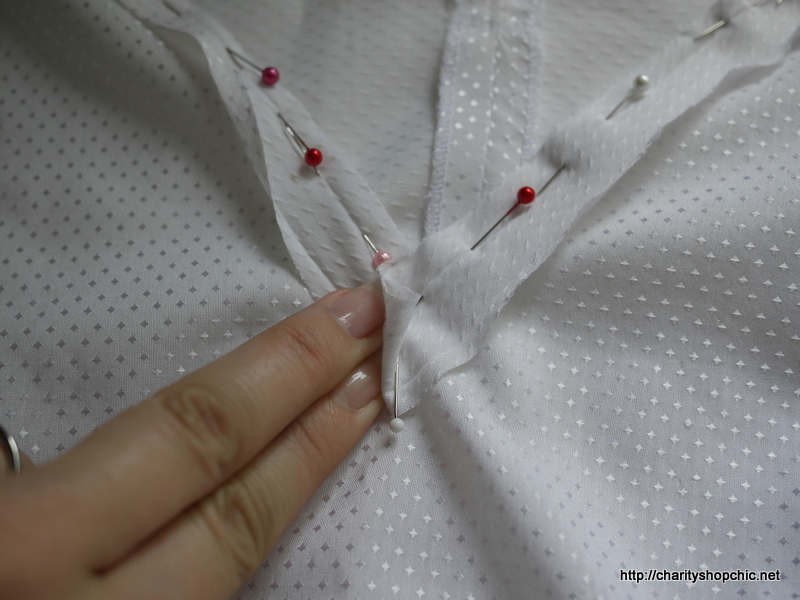 After trying the blouse on and marking the new neckline with pins, it looked something like this. 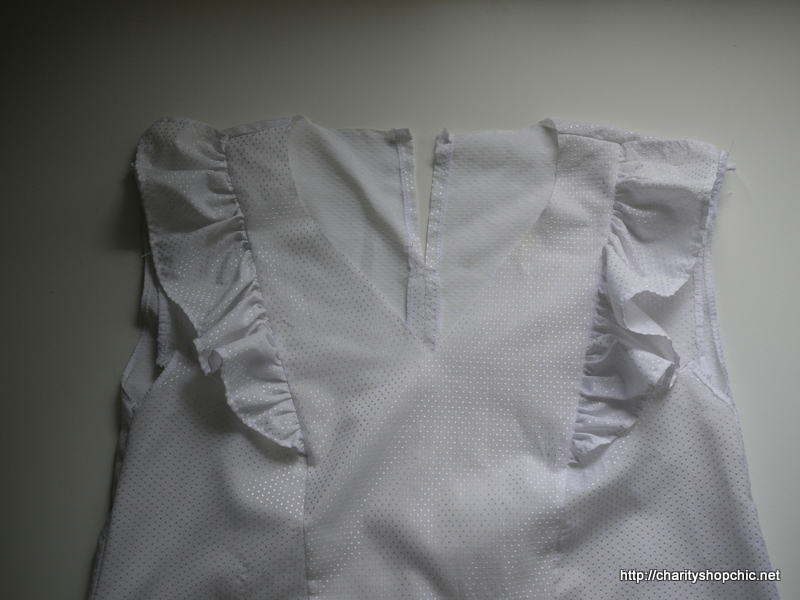 I also took some width out of the sides and added a couple of darts at the armhole, which are covered by the ruffles when the blouse is worn. Here’s the shape of the new neckline. Note that the darts are not visible. 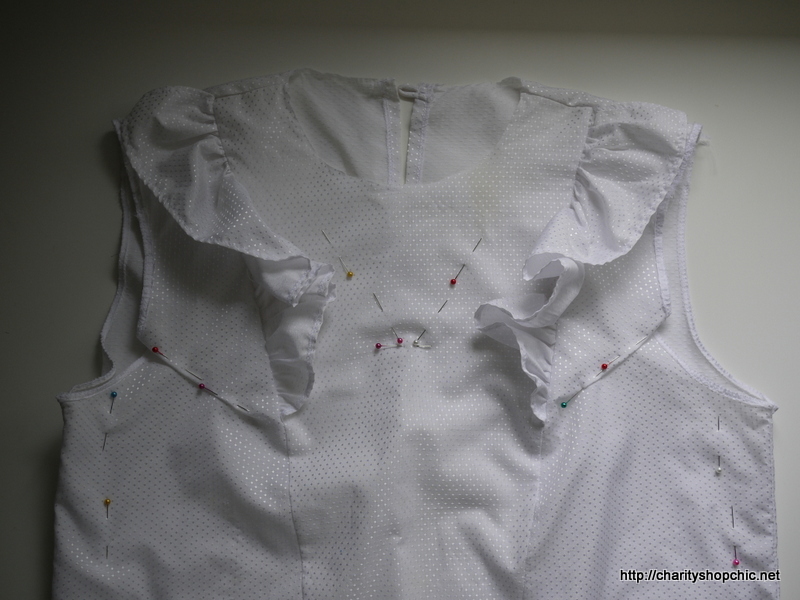 From one of the sleeves, I cut some 3cm bias strips to bind the neckline and armholes. 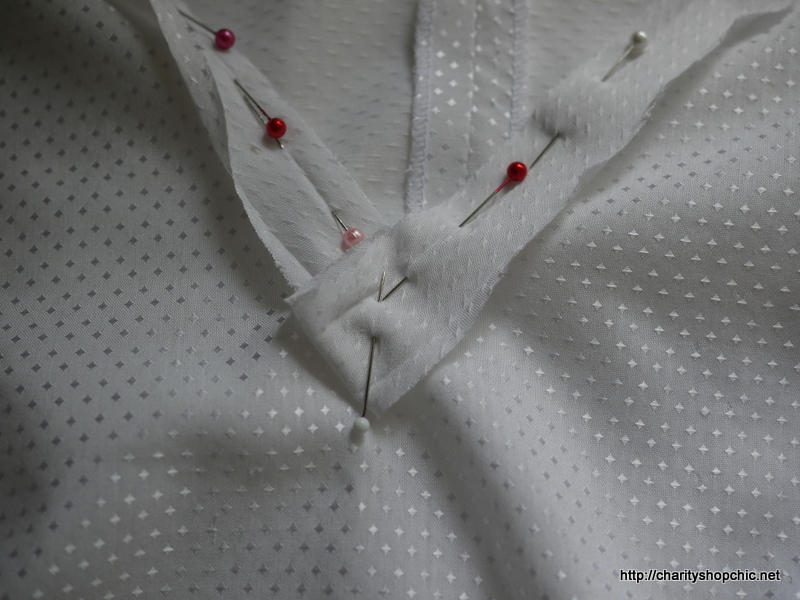 Here’s a quick look at how I bound the V at the neckline. I folded the bias strip onto itself…. …so it’s effectively folded double on one side. 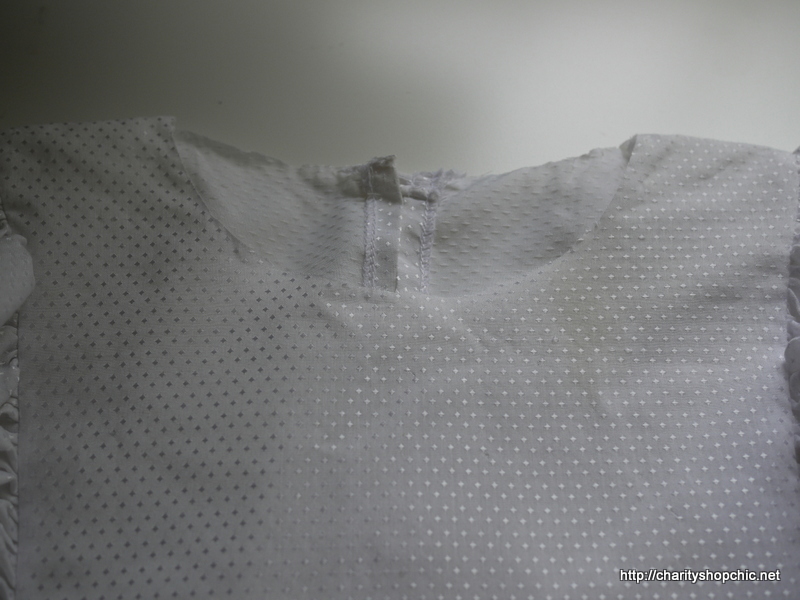 Here’s what it looks like once it’s sewn on – there is a sharp angle but the only bit that needed clipping was the actual blouse (not the binding). This gives a nice sharp point at the corner of the V, once the binding is turned to the wrong side and topstitched. 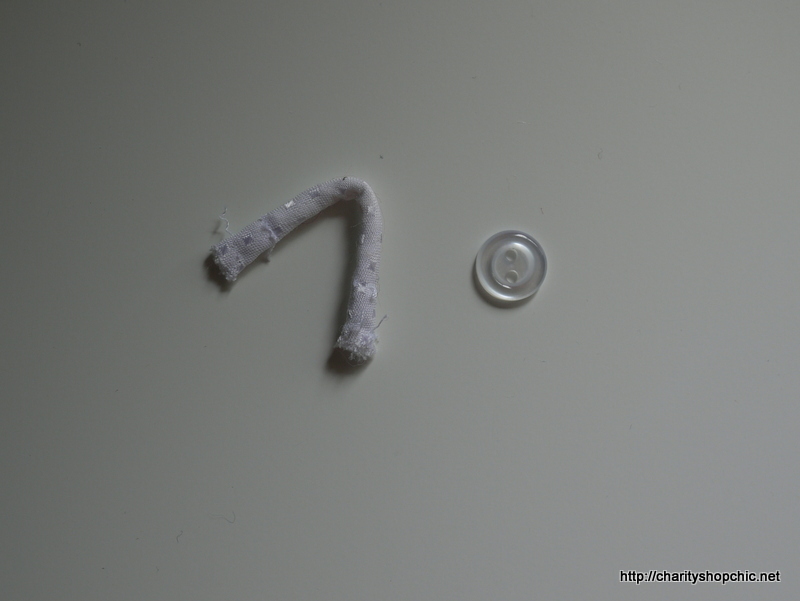 I added one of the buttons and the loop back to the centre back neck. I actually could have just sewn the keyhole up as it fits over my head with the new neckline, but thought it might be nice to keep another original feature, and it wasn’t much work. The final blouse was a vast improvement on the original. 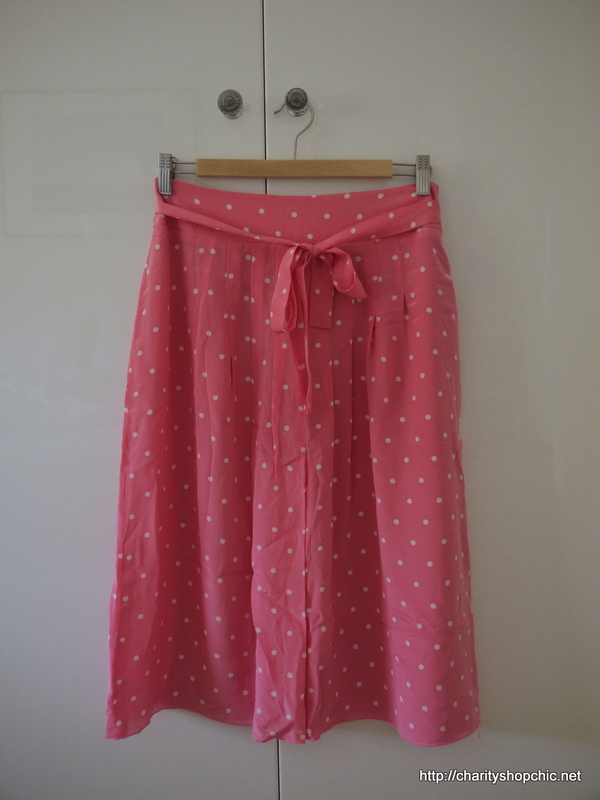 All I needed was something to pair it with… This polka dot 100% silk skirt came from the British Heart Foundation shop in Whitby, a bargain at £3.30. This had been in the wardrobe for years but I hadn’t worn it because of a rather noticeable stain on the front. Eventually I decided to take the plunge and put it through the washing machine on the handwash cycle. It came up a treat. 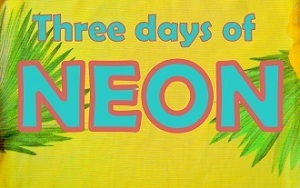 Expect to see this a lot over the summer! I was able to wear my new outfit to brunch with some good friends on Saturday. 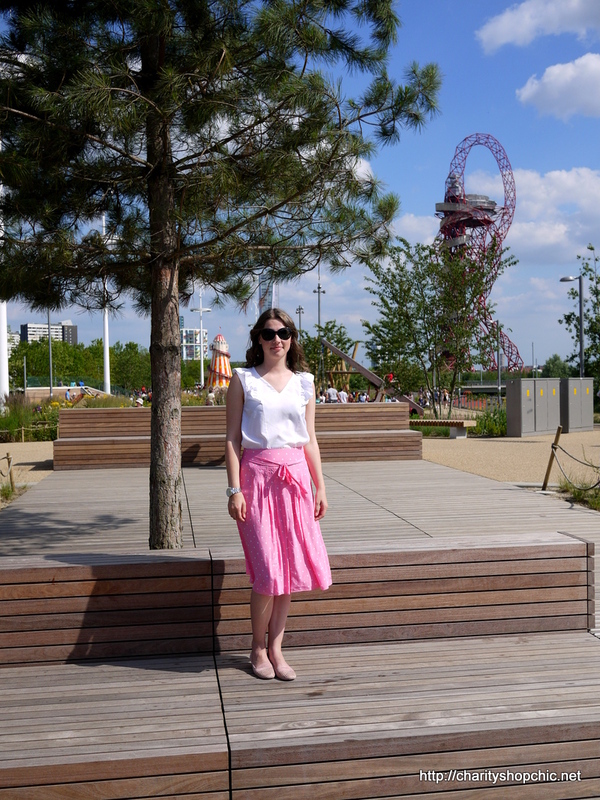 After brunch we took a walk through Queen Elizabeth park, part of what was the Olympic park in Stratford. It’s now a beautiful park and was full of families enjoying the nice weather. You can see the Orbit sculpture in the background – you can walk right up to it now! It’s pretty impressive from close up. I actually really like the new V-neckline and am planning what else in my wardrobe could benefit from a new V-neck! I think I’ve been left with just the right amount of ruffle – enough to make an impact, but not too many that it pushes it into costume territory. 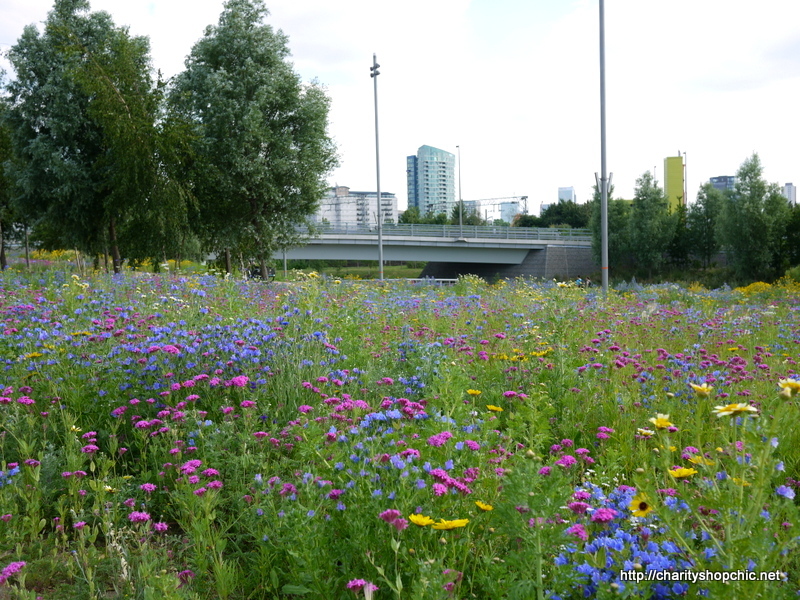 Another great thing about Queen Elizabeth park is the wild flower meadows – they are absolutely beautiful at this time of year. I loved the colours and took far too many photos! Beautiful refashion as always! It looked a bit oppressive at first and now it’s so light and airy. Love it with the pink skirt. You are definitely a refashion master, Sally! Thank you, Beth! I’m happy with this one and am actually dying to wear it again. It’s just the right combination of summery and smart. 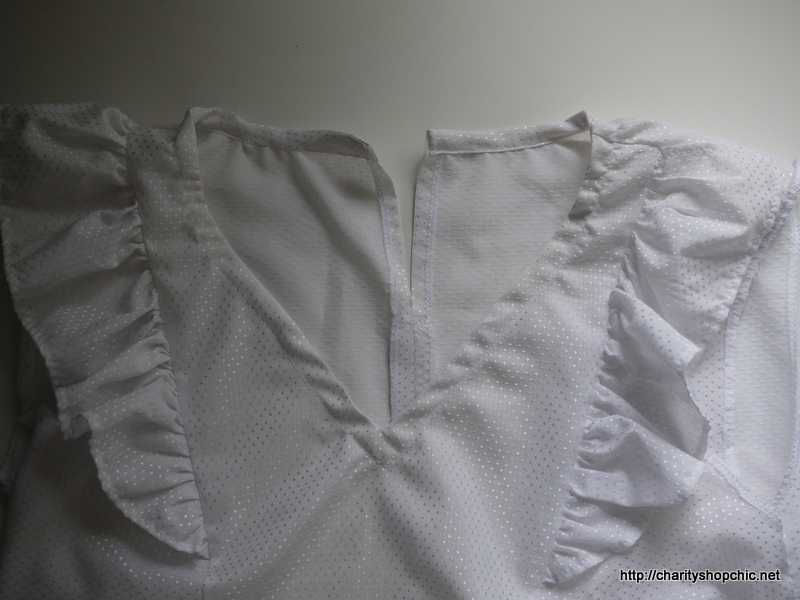 How anyone could originally design that frilly puffy blouse nightmare defies imagination – how you managed to look past its frightful appearance and see a gem is a true testament to your amazing sewing and design capabilities – bravo! Awww thank you Lizzy! The original was somewhere between a Victorian lady’s nightgown and a 1980s new romantic outfit. I’m so happy I was able to keep at least some of the ruffles! 23/06/2014 - 1:17 pm ooobop! 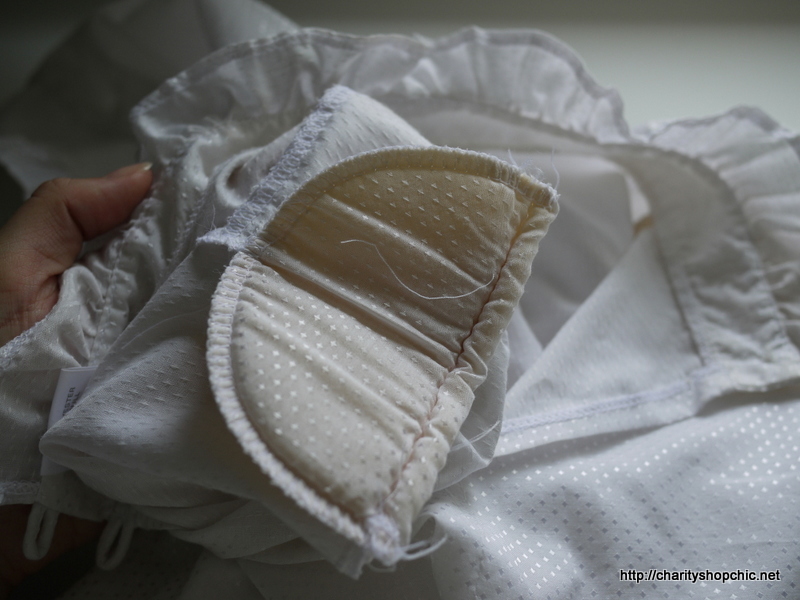 Excellent save for those pretty ruffles! I had a PURPLE “ruffle shirt” in 1981, and it looked just like that! We wore them with our “prairie skirts” back then. What were we thinking? I guess we were thinking ‘more is more.’ Love this refashion. Did you think about maybe dying it? I could never have seen the lovely finished shirt in that 80’s blouse. Thanks for the v-neck mini-tutorial, I was wondering how to do that. I’ve stored it in my mind for when I need it. Love all your refashions. You should do it Susan! Be careful though, refashioning is pretty addictive ;-) Thanks for commenting. Such a simple change yet so effective! Great job! I hate sewing, but you are an inspiration! That blouse is beautiful! I love the ruffles! And the skirt is darling! I love the front tie on it. Very cute. As a new refashioner, I have to ask, do you ever get frustrated, throw your hands in the air and give up on a project? I’m working on a project for my 3 year old, a costume dress to add to her dress up collection, and I’m so frustrated with it I’m ready to pitch it! Hi TaraLee, why do you hate sewing? It’s so much fun! Of course, there are always projects that don’t work out for whatever reason. My advice would be to throw it in the bin and don’t give it a second thought, I spend far too long dwelling on failures when I really should be moving on. 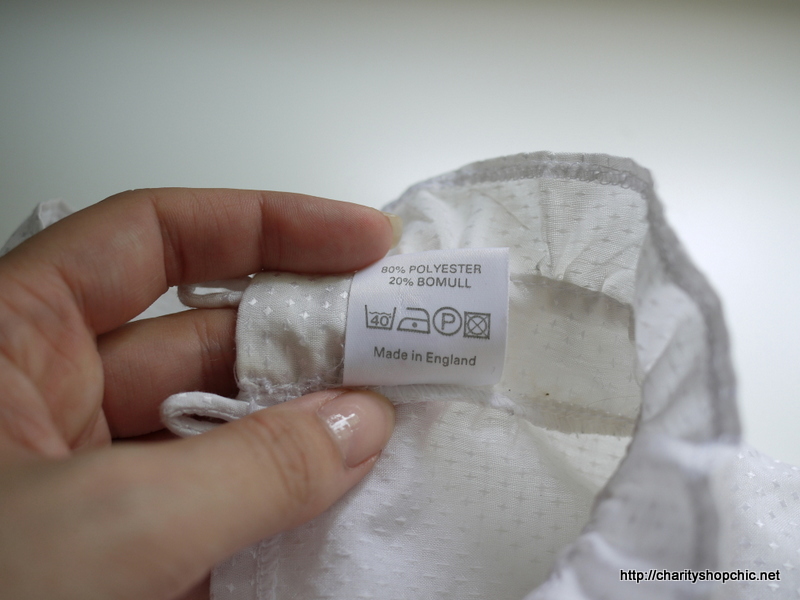 It’s easy to say this when you work with garments that cost £2.60, I expect it would be harder if you had more of a financial investment as well as time invested in a failed project. If you can’t bear to part with it, maybe you could put it away until you have a few more projects under your belt to help you build your confidence and sewing skills, and then see how it goes. 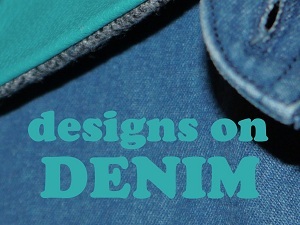 Good luck and welcome to the refashion community! 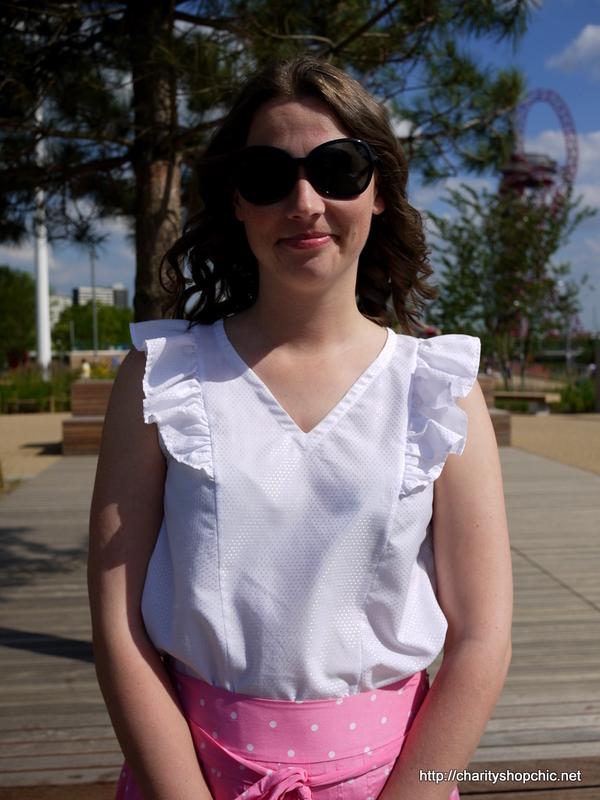 Hi Kasia, I am so happy that you have been inspired to start refashioning! You’re right, it is tremendous fun, and it’s really quite addictive. Good luck with your projects! The finished top is a million miles away from that blouse. Agree with you about the v neck, it looks great! That skirt was a great find too, lovely outfit! Thanks so much, Purplesmudge. The bias facing on the V-neck is a little tricky, but I know you can do it! 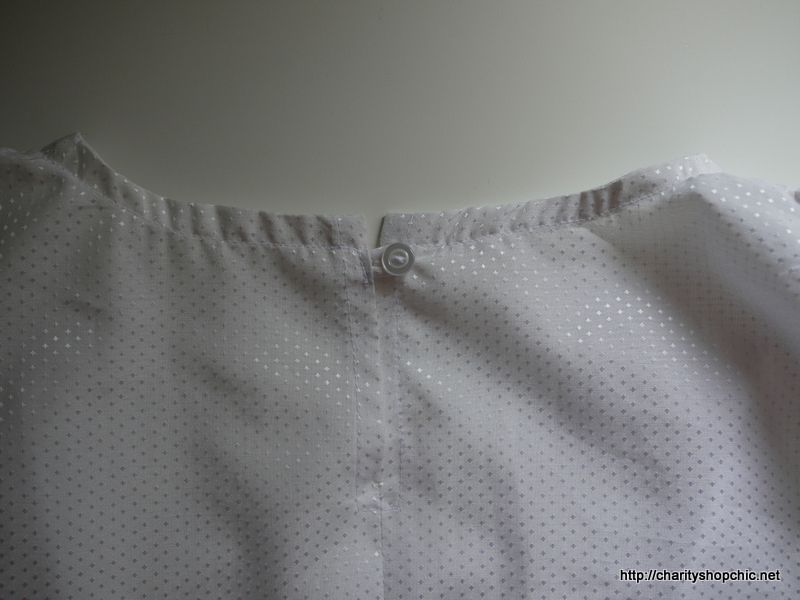 The trick is to fold it over itself like in the pictures, and then to clip the blouse straight down to the point to ensure a nice sharp corner. Good luck with it! 23/06/2014 - 10:44 pm Deb C.
You look so beautiful! The blouse is awesome. Thank you for taking us down your memory lane of sewing. I actually revamped my ugly raincoat into something shorter and wearable after viewing your raincoat redo many, many times. Aw, thank you Deb! You are too kind. Glad to hear you’ve been working on your raincoat. That is actually a favourite project of mine, it was a lot of fun to do. I hope yours turned out well! 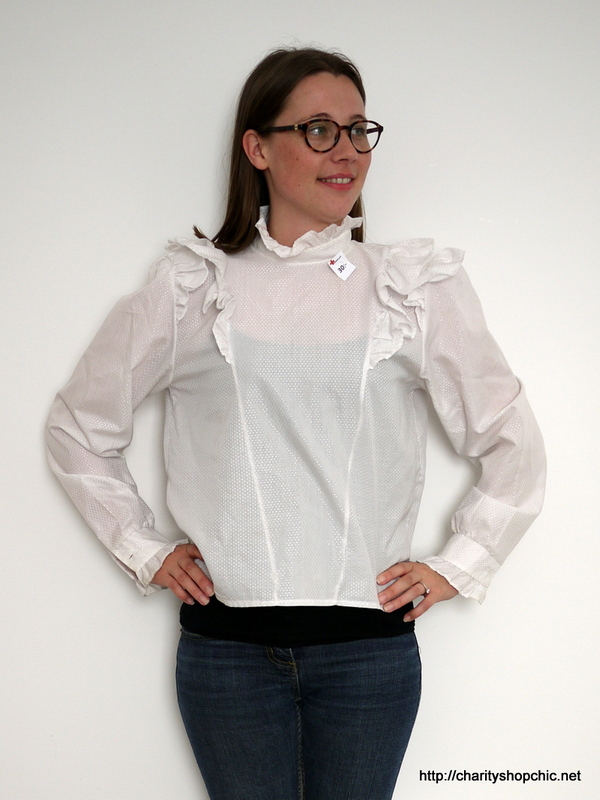 Your finished blouse is a definite improvement over the original! Do you get to travel for work or is it vacation? 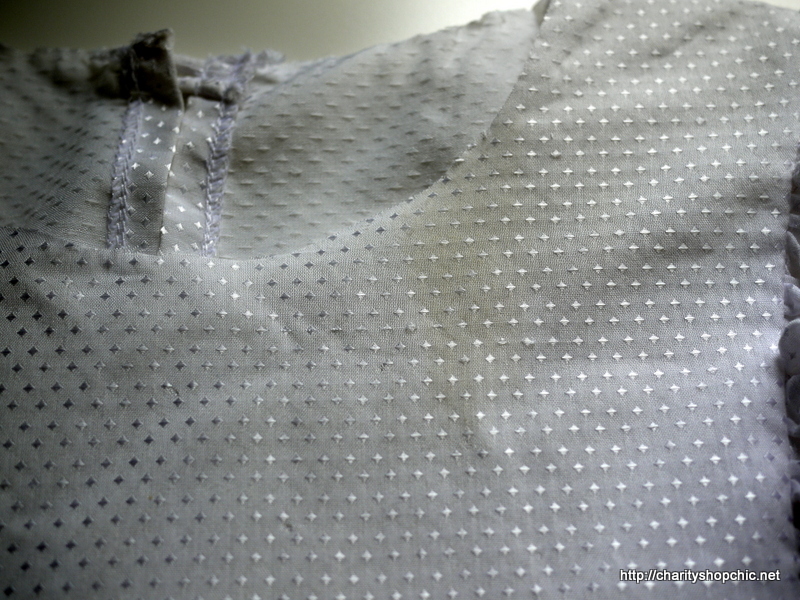 I’m picturing a Polish milkmaid dress coming up in the future……..
Hello! I’m lucky enough to travel for both work and holiday (this time it was holiday). I’ve actually never been to Poland but would love to! Not sure if they have charity shops but if it’s anything like Hungary the charity shops were mainly full of garments from the British high street anyway, which was slightly underwhelming. If I ever came across a Polish milkmaid outfit I’d probably wear it as it is and pretend to be Carrie Bradshaw! Thanks for commenting. That’s a lovely outfit. The blouse after being ‘charityshopchiced’ is very pretty. Loving the blouse remake :-) a bit like a v neck pendrell! I am now very inspired to make some amendments to that pattern!! Aha, you’re right! It does look a bit like the Pendrell. My ruffles are only at the front, though. I’m sure you could easily adapt the Pendrell into a V-neck. Good luck! Love it. Such a pretty summery outfit! You have done a fab job with that awful blouse. Love the BB skirt. Love the blouse: just enough ruffles, a great v-neck (which I want to try), and perfect for summer! Beautiful Sally! you’ve totally transformed that top into something contemporary and wearable. Perfect skirt for it too! What an incredible transformation! Great thinking with the neckline! It makes it look way more contemporary and original, you are an amazing stylish problem solver, one of the reasons why i’m constantly inspired by this blog! Thank you Bernieandi, glad you liked this blouse. V-neck is a little unusual for me on the blog so far, can’t believe it’s taken me this long to do something so simple to a neckline! Thanks for reading! Great job Sally! Oh the memories…Had a blouse just like it in the 80’s.LOL! Love the outcome! Ha, I bet it was great back then! Mine just needed a little help to bring it up to date ;-) Thanks for reading, Mary! Well done, Sally — love the little bit of ruffles and new neckline, and very nice with the polkadot skirt as well! Oooooooh I love it it! Ruffles are the greatest, am so impressed you managed to tame these ones and let them shine. 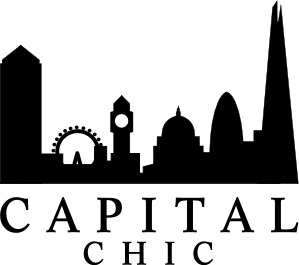 I’ve just discovered your blog: It’s brilliant! Hey, I think that’s the blouse that Dolly Parton wore in “9 to 5”. It could have been worth $$$ to a collector (LOL). HAHAHAHAHA yes it probably is!